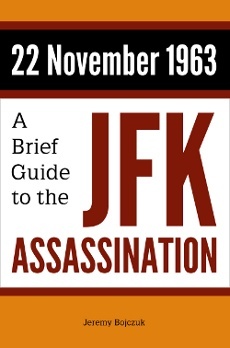 A readable, objective account of the central issues in the ever–controversial JFK assassination. The book includes detailed discussions of several important topics, and is fully referenced, with more than 400 footnotes. The ebook versions include more than 500 links to primary source documents. 8.5″ x 5.5″ (approx. 21.5 cm x 14 cm). For Kindle devices and software. In EPUB format, for other devices and software, including Nook, Kobo, Apple and Sony devices. The paperback and Kindle versions are available from Amazon. The EPUB version is available from https://sellfy.com/boxgrove-publishing, with payment, in pounds sterling, US dollars, and euros, handled securely by PayPal. Please note that these are our recommended prices. Amazon may charge slightly more or less than these prices.